Monday is a big day for many runners from the University of Virginia and the Charlottesville area, as they take to the streets of Boston for the 121st annual Boston Marathon. More than 20 people from the Charlottesville region are running the prestigious marathon, a grueling 26.2-mile route from rural New England to the center of Boston. 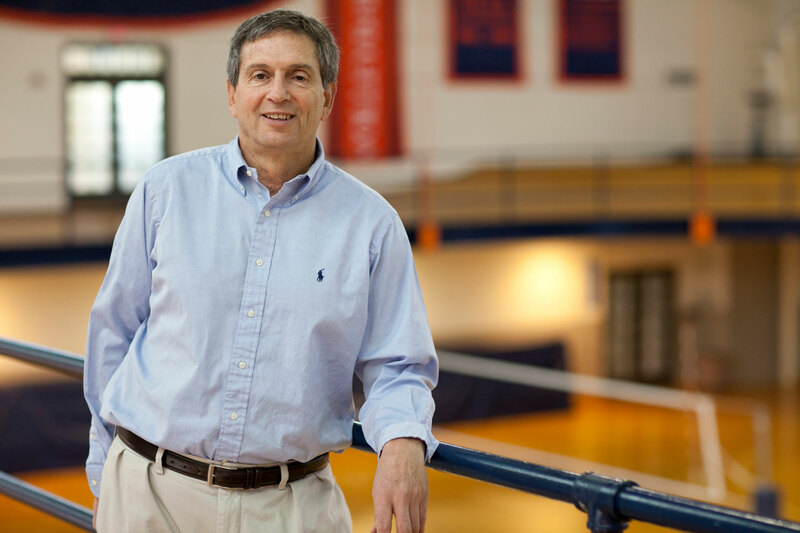 Among them are UVA President Jim Ryan – who is running in honor of teachers, with the names of 26 educators on the back of his T-shirt – and Joan Bienvenue, director of UVA’s Applied Research Institute. Bienvenue is originally from New Hampshire and thinks of the Boston Marathon as her “local” race. Among Bienvenue’s training partners are Heidi Johnson, assistant to the president and manager of Carr’s Hill operations, and Jaime Kurtz, a Charlottesville resident and professor at James Madison University. Kurtz said the camaraderie of the Charlottesville group – and hills in the Charlottesville area – make the trip to Boston even better. Speaking of training, Ryan has shared the Spotify playlist that motivates him through 26.2 miles. We also caught up Art Weltman, a professor of medicine and chair of the kinesiology department in the Curry School, to learn more about runners prepare for such an elite race, and how running – and exercise in general – affects our bodies. Weltman, who also directs the School of Medicine’s Exercise Physiology Core Laboratory, is also a longtime runner, and has helped train U.S. Olympic marathon teams. Q. How does running regularly affect our bodies? A. Any form of regular physical activity has a tremendous number of health benefits. For children and adolescents, exercise improves bone health, weight, cardiorespiratory and muscle fitness, cardiometabolic health and cognition, and reduces the risk of depression. For adults and older adults, exercise lowers the risk of all-cause mortality by about 33 percent. It reduces your risk of cardiovascular disease, high blood pressure, diabetes and various cancers, including bladder cancer, breast cancer, colon cancer, esophageal cancer, kidney, lung and stomach cancer. It also improves cognition, lowers risk of dementia and Alzheimer’s and reduces anxiety and depression. Most importantly, it improves your quality of life and enables you to do many things with less fatigue. General guidelines recommend an accumulated 150 minutes per week of moderate-intensity aerobic activity or 75 minutes of vigorous aerobic activity, as well as at least two days per week of strength training. Running – whether marathons or just a few miles – is considered vigorous aerobic activity. Q. Many runners report a “runner’s high” after a good run. Why does that happen? A. I’ve run for a long time, and I’ve only experienced that once I crossed the finish line and slowed down. In general, running offers a number of great brain benefits and the release of endorphins might actually improve psychological state. Some athletes might experience that when they are running, but I think most experience it when the race is over and they know they have accomplished something difficult. Q. Are there any traits that make people well-suited for marathons? A. Part of it is genetic – genetics set the uppermost limit. Your ability to devote time and effort to an appropriate training program is also important. You have to determine how much is enough for you personally. Beyond that, we look at three things as long-distance performance indicators. First, maximal oxygen consumption – how much oxygen can you deliver to the body while you are exercising? Second, what percentage of your maximal oxygen consumption can you attain and maintain over time without fatigue? I worked with [1972 Olympic marathon gold medalist] Frank Shorter, and while he did not have the highest oxygen consumption on the U.S. team, he was able to run at about 85 percent of that consumption without fatigue, which is pretty extraordinary. Third, how economical are your movements, from a biomechanical standpoint? The more economical you are, the faster you are. Q. President Ryan has shared his running playlist with us, and many other runners have other go-to tips and tricks. What are some things runners can do to have a great workout? A. Music motivates many people, and for me, running with training partners is very important. I had a colleague here for 18 years that I ran with regularly, and when he left it was one of the worst things that happened to my running. Everyone is different, and when we talk to people who want to exercise more, we try to create guidelines that are realistic for their personality and commitment. Nearly everyone says they want to exercise or know they should, but unfortunately not many people meet the recommended guidelines that we talked about. Less than 25 percent of adult American men meet those guidelines; and less than 20 percent of women. So, it’s important to find something that motivates you, and something you can stick to. Q. What are some common risks runners should watch out for? A. On Monday, the biggest risk will be the temperature. If it is inordinately warm, the runners are basically in survival mode. Last year’s marathon was cold, windy and rainy, and times were much slower then, too. For marathon runners, it’s important not to start too fast. You don’t want to hit a wall at the 22-mile mark. Carbohydrate intake is also important. Racing is primarily a carbohydrate-dependent activity, and most runners will take a carb feeding at regular intervals, usually in the form of Gatorade or Powerade. In general, though, the benefits of running – and exercise – far outweigh the risks, if people approach it sensibly.